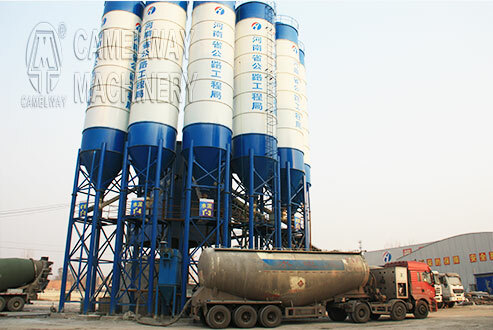 Before Zhengzhou CamelWay Machinery introduce the maintenance methods of cement silo in summer, let us have a good knowledge about the necessary tips for cement silo of concrete batching plant. Cement silo is generally used in bulk cement storage of concrete mixing plant. Bulk cement silo is a kind of closed storage tank for bulk material which is suitable for storing grain, cement, fly ash and other bulk materials. The tank is equipped with a material position system, which can display the position and the number of the concrete mixing station materials.